This article will cover four ways to pay off a mortgage early, beginning with the simplest solution and ending with the most complicated solution. All these strategies can be beneficial when correctly utilized, but each method varies in risk and feasibility, depending on borrower circumstances. Pay more of your mortgage every month. Adding minimal payments toward the principal balance of a loan can significantly shorten the loan’s term. With a payment toward the principal, the overall balance of the mortgage is reduced, thus reducing future interest payments. Achieving this may even be as simple as rounding up monthly mortgage payments. For example, borrowers with a $644 mortgage payment round this number up to $650. While only an additional $6 per month, this rounding up could save four mortgage payments during the lifetime of a $200,000 30-year mortgage loan. You should ensure these extra payments apply toward the principal balance, rather than simply being rolled over for the next mortgage payment. Furthermore, you should always be aware of the terms of the mortgage and whether or not any prepayment penalties apply. Refinance your mortgage to a shorter term. Most home buyers secure 30-year mortgage terms due to the low cost of monthly mortgage payments. However, for those who can afford to make larger monthly payments, a shorter term will substantially reduce the cost of interest over a loan’s lifetime. As such, refinancing into a shorter-term mortgage can be beneficial if you have the available income to maintain higher monthly payments. While you can refinance into a 10, 15, or 20-year mortgage, 15-year mortgages are the most common choice behind 30-year mortgages. However, securing a 15-year mortgage may not be as expensive as you believe. For a 30-year mortgage of $100,000 at a 5% rate, your principal and interest payments total $537, but with the same terms for a 15-year schedule, your principal and interest payments total $791, which is only a $254 monthly difference. To avoid the risks of this repayment plan and to qualify for the proper debt-to-income ratios (DTI), you can acquire a 30-year mortgage loan but make payments as if it were the shorter term, thereby paying it off early with no repercussions (provided the mortgage does not include an early prepayment penalty). Biweekly payments take advantage of a payment schedule based on weeks, rather than months. This allows you to make thirteen mortgage payments every year instead of twelve mortgage payments. Rather than paying a full mortgage payment every other week, you can simply make half-payments every two weeks, thus making twenty-six payments within the year’s fifty-two weeks. This roughly totals thirteen payments by the end of the year. While seemingly minor, this additional mortgage payment can reduce a 30-year mortgage’s term by approximately six years. When rescheduling monthly payments into a bi-weekly schedule, don’t seek a third-party company to make these arrangements. Instead, find out if your bank will agree to reschedule the payment plan in this manner. Some banks will perform this service free of charge; others may levy a minor fee. In addition, verify that your bank credits these extra payments toward the principal. This is so you can save more on interest payments, as some banks may reserve these additional funds to be paid at the end of the year, removing the potential interest savings. For borrowers who are experienced with cash management, money merge accounts can be exceptionally beneficial when utilized appropriately. 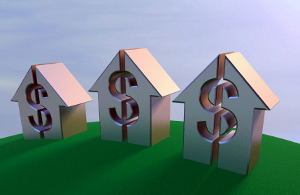 Essentially, this method makes use of the borrowing habits practiced in Australia, in which mortgages operate much like home equity lines of credit (HELOC). This allows borrowers to merge these payments with checking accounts. You can deposit monthly income into the account while withdrawing it when spending money. The most significant advantage of this method is that the interest on the mortgage is calculated on a daily basis rather than monthly. While the money is sitting in the account waiting to be withdrawn for bill payments, you can save on accruing interest. However, this method is not recommended for traditional homeowners as they may not receive a sufficient interest reduction to justify assuming the associated risks.